For too long the phrase ‘Labour Market Information’ has filled people with a feeling of dread. Data sets have been untouchable, growling at anyone who came close with the threat of complicated access routes, intimidating methods of interpretation and the fear that pressing the wrong button will lead to a catastrophic data disaster. However, labour market information, or LMI as it more usually called, has many practical uses and so curing the fear is important. The UK Commission understands the need to bring LMI in out of the cold and is developing a data tool to bring together and open up access to LMI. As a UKCES Commissioner and chair of the National Careers Council I’m interested in how data can help to inform career decisions, to plan training and more widely inform economic development. There are many sources of information about jobs and work. For example, the Office for National Statistics carries out large surveys which ask people about the jobs that they do and the UK Commission asks nearly 90,000 employers about the skills their employees need. These and other surveys provide a rich source of information that is robust, high quality and can be useful, usually alongside other, more qualitative information, to help people make decisions about their careers. The data tool will bring a number of data sources together in a single, accessible location so these can be used in a range of different websites and apps. This won’t be a new careers website for individuals to access. Rather, this will be a place that brings together robust, rigorous information about the labour market so that this can be used in a wide range of different websites and applications. It will include data about the characteristics of people who work in different occupations, what qualifications they have, how much they get paid, and allow people to make comparisons across different occupations and so be able to answer many of the questions people have when thinking about their career. We are calling the data tool ‘LMI for All’ because it will make LMI more accessible to a much wider audience. It will reduce some of the fear of data and help make LMI something more approachable that can be used in a variety of different ways. 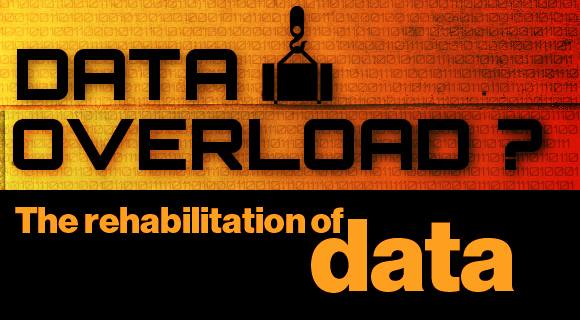 So how will LMI for All help to rehabilitate data? • LMI for All will bring together different data sources and allow searches across sources providing a more flexible and rich source of information. • There will be open access and so developers can use LMI for All to develop content for websites and apps. The information can be presented and tailored for use by particular audiences by the most creative and innovative developers. • It will provide data you can rely on: accurate and up-to-date with sufficient sample sizes and which doesn’t allow identification of individual people or businesses. • The potential for LMI for All is wider than career guidance; other uses may include for economic development, planning education and training and use by employers to plan workforce learning. We are at an early stage of development and we want to make sure we get it right and that each version of the data tool is tested thoroughly and is fit for purpose. The first version of LMI for All is due to be released in May 2013 and this will be a public release so people can start using it straightaway and let us know what improvements need to be made. Dr Deirdre Hughes is a policy adviser, academic researcher/writer, trainer and freelance consultant specialising in the impact of careers, employment and skills policies to support the development of jobs and growth. She is an Associate Fellow at the Institute for Employment Research (IER) Warwick University, and an Associate at the Centre for Educational Sociology, Edinburgh University. Deirdre was awarded an OBE in 2012 in recognition of her services to career guidance. This sounds like a really useful project by UKCES, are you planning to produce an open API of all the data? HEFCE managed it recently with all the KIS data on http://unistats.direct.gov.uk/open-access-data/ and although the new Ofsted Data View is a step in the right direction it doesn't currently appear to have an open API http://www.ofsted.gov.uk/resources/data-view-further-information. I believe open education data via API's is key to improving the quality of data, opening more up, linking existing data and above all making it usable. We're planning a debate and research in this area in the New Year. Will follow this project with interest. Thanks for the comment Louis. Yes, we are intending that LMI for All will have an open API. We see this very much as an open data project and our intention is that the data will be as accessible as possible whilst ensuring the quality of data and confidentiality. I am interested that you are planning a debate and research on open data. The Commission would be keen to contribute to this.